Angels. They have been referred to as "angles" of God’s consciousness. God thinks; they perform. We pray; they respond. Archangel Michael’s Miracles Today was written to strengthen our belief that angels exist to help us move with grace and confidence through the days and years of our lives and into an unpredictable future. 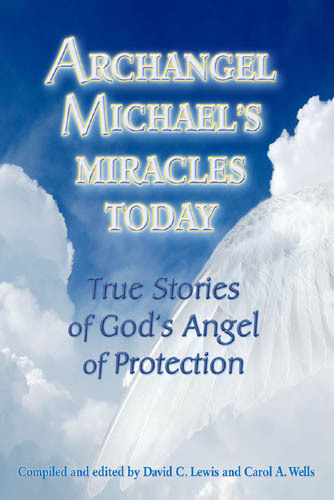 In Archangel Michael’s Miracles Today, those who tell their stories know without question that those angels of protection who have come at their call are under the command of an archangel of scriptural repute throughout the world—Michael, Prince of the Archangels, protector of the children of God. Future Plans for Archangel Michael’s Miracles Today: ok that Archangel Michael desires in the hands of those who serve and defend. If you would like to see this happen as soon as possible, your additional tax-deductible donation to the Publishing Development Fund can make it happen. Thank you for whatever you can give!